The secondary metabolites of the aerial parts of Phyllanthus acuminatus Vahl (Phyllanthaceae) and the biological activity of one of them were characterized in this study. This chemical investigation led to isolation of two lignans, luclaricin (1), a new arylnaphtalene-typelignan, and justicidin B (2). The structures of isolated compounds were determined based on 1D and 2D-NMR, HRESIMS and IR. The cytotoxic activity of justicidin B was assessed against tumor cell lines (MCF-7, U251, NCI-ADR/RES, NCI-H460, OVCAR-3, HT29 and K562) and a non-tumor cell line (HaCat) using sulforhodamine B assay. Justicidin B showed strong cytotoxic activity against the tumor cell lines HT29, K562 and U251 with GI50 values of 2.28, 3.29 and 5.76 mol L-1, respectively. Palavras-chave: lignans; Phyllanthus; cytotoxicity; glioma cells. As part of our work, which consists on searching for bioactive molecules from the Paraiba state flora, in this paper we described the isolation and structural characterization of a new arylnaphtalene-typelignan (1) and one known (2). Compound 2 cytotoxic activity in different cell lines is also described. Compound 1 was isolated as an oil. The high resolution ESI mass spectrum showed a peak of the adduct ion [M+Na]+ at m/z 447.1065 (calcd. for C23H20NaO8Na, 447.1055) which was compatible with this molecular formula C23H20O8. In 13C-NMR spectrum, the presence of twenty-three signals were observed. Twelve of them were assigned to non-hydrogenated carbons, six to methine carbons, two to oxymethylene carbons, two to methoxylic carbons, and one to a methyl carbon. The chemical non-hydrogenated carbon shifts between δC 127.7 and 150.4 were compatible with carbon skeleton of an arylnaphthalene lignan. The corresponding signal to C-9 at δC 65.0 suggested the presence of a primary alcohol. Also, signals at δC 171.0 and 20.7 were observed and when they were associated to the C-9 chemical shift, it inferred the insertion of an acetoxy group in that position.6 Also, corroborating with infrared spectrum that showed a broad band at 3100-3500 cm-1 and a strong band at 1680 cm-1, the signal at δC 172.3 indicated a carboxylic acid at C-9'. The other carbons chemical shifts were similar to phyllanthostatin A and they are compiled in Table 1. In 1H NMR spectrum, it was observed three singlets corresponding to only one proton each and their chemical shift were determined at δH 6.86, 7.11 and 7.68. Also, signals corresponding to an ABX system at δH 6.83 (sl), 6.85 (d, J = 8.0) and 6.79 (dd, J = 8.0 and 2.0) were detected. All these signals, when compared to literature values8 confirmed the arylnaphtalene-type lignan skeleton for compound 1 and they were assigned as H-3, H-6, H-7, H-2', H-5', and H-6', respectively. This hydrogenation pattern was also inferred from substitution of carbons C-4, C-5, C-3', and C-4'. The signals at δH 5.99 (d, J = 1.0) and 5.95 (d, J = 1.0) were compatible to the methylenedioxy substituent, and the signals centered at δH 3.73 and 3.96 were assigned to two methoxyl groups. Two doublets in δH 5.34 (d, J = 12.5) and δH 5.31 (d, J = 12.5) were assigned to the methylene group at C-9. Also, there was a singlet at δH 2.03, which is characteristic of acetyloxy group. In HMQC spectrum, the following correlations were observed: δH 6.86 (H-3) with the signal at δC 105.4, H-6 (δH 7.11) with the signal at δC 106.3, and H-7 (δH 7.68) with the carbon at δC 126.7. These correlations supported the assigned signals for H-3/C-3, H-6/C-6 and H-7/C-7 of the arylnaphthalene structure substituted at C-4 and C-5. The signal at δC 126.7 (C-7) corroborated with the lactone ring-opening and the oxidation in C-9' (δC 172.3).6 The observed correlations for δH 5.34/5.31 (2H-9) with the carbon at δC 65.0 as well as signals centered at δH 5.95 and 5.99 (OCH2O) with the carbon in δC 101.0 and δH 3.73 and 3.96 with carbons at δC 55.6 and 55.8, confirmed the presence of methylenedioxy and two methoxyl substituents. A HMBC experiment was used for the total assignments of 1H and 13C NMR spectra and the following signal correlations were observed: δH 7.68 (H-7) / δC 65.0 (C-9) and 106.3 (C-6); δH 7.11 (H-6) / δC 150.1 (C-4) and 150.4 (C-5). Methoxyl groups location were identified by correlations of signals at δH 3.73 with C-4 (δC 150.1) and δH 3.96 with C-5 (δC 150.4). The methylenedioxy substituents are located at C-3' and C-4' by signal correlations of δH 5.99 and 5.95 with δC 147.3 and 147.1, respectively. Correlations of signals centered at δH 5.34 / 5.31 (2H-9) with δC 128.7 assigned position of C-8' and with the carbon at δC 171.0, it was assigned the position for the esterification by acetoxyl group. The remaining correlations are summarized in Table 1. The signal at δH 7.11 was assigned to H-6 and through NOESY experiment (Figure 1), it was possible to observe the following correlation with δH 3.96 (OCH3-5). H-6 was also correlated with the signal at δH 7.68 (H-7), and this one interacted with 5.34 (H-9). The signal at δH 3.73 (OCH3-4) was correlated with signal at δH 6.86 (H-3). In this context, an early event that happens during arynaphtalene lignans biogenesis, it is the primary alcohol oxidation that leads to the acid, which is followed by lactonization. However, this lactonization is not possible for compound 1 due to the acylation of one of hydroxymethylene group at C-9, which precludes the lactone ring formation. Thus 1 is an arylnaphthalene lignan called luclaricin, a new natural product. In this work, it was possible to isolate a new arylnaphtalene-typelignanm, luclaricin, and justicidin B, which was already reported in another phytochemical studies of this species. In addition, it was analyzed for the first time the cytotoxic effect of compound 2 in U251 lineage (glioma), showing that justicidin B is promising for this activity. Strong cytotoxic activity was also observed HT29 e K562 with GI50 values of 2.28 and 3.29 mol L-1, respectively. Conventional chromatographic methods were used, such as column chromatography (CC) (silica gel 60, Merck, 0.063-0.20 and 0.04-0.063 mm). Silica gel TLC (thin layer chromatographic) plates Whatman AL SIL G/UV stained with iodine and viewed PF254 under UV light (254/366 nm) were used to monitor chromatographic purification procedures. One-dimensional (1H and 13C) and two-dimensional (gHMQC, gHMBC, gCOSY and gNOESY) NMR analyses were performed on a Bruker-System spectrometer operating at 500 MHz (1H) and 125 MHz (13C). CDCl3 was used as solvent with TMS as an internal standard. HR-ESI-MS was obtained using the microTOF-II system of Bruker. The P. acuminatus aerial parts were collected in the city of Matureia (7º 11'10" S and 37º 08'22" W, altitude: reaching: 1.197 m), Paraiba, Brazil in June 2011, and they were identified by the botanist Dra. Maria de Fátima Agra, from Federal University of Paraiba. A voucher was deposited at the Herbarium Lauro Pires Xavier, University of Paraiba (voucher Agra 7432). The aerial parts of P. acuminatus (4 kg) were extracted by maceration with 95% ethanol at room temperature to obtain the crude ethanol extract (CEE). Then, an aliquot of CEE (50.0 g) was dissolved in a hydromethanolic solution (MeOH:H2O, 7:3, v/v). After this procedure, it was subjected to a liquid-liquid partition process using several solvents (hexane; hexane / ethyl acetate: 8:2, 1:1, 2:8; ethyl acetate; ethyl acetate / MeOH: 1:1; and MeOH), thereby obtaining the respective phases. The hex / ethyl acetate phase (8:2, v/v) (2.6 g) was subjected to a CC, using silica gel 60 as stationary phase and as eluents: hexane, ethyl acetate and methanol. From this CC, 94 fractions (100 mL each) were obtained and later concentrated in a rotary evaporator. After analysis in TLC, they were assembled in 11 different groups. Fraction group 33-53 (102.9 mg) eluted with a 20-40% (v/v) gradient of ethyl acetate in mixture with hexane, resulted in compound 2. Another group of reunited fractions from the preceding column, fractions 54-68 (994.7 mg), eluted with a 40-60% (v/v) gradient of ethyl acetate in mixture with hexane, were then subjected to another CC, under the same conditions previously described. There were obtained 252 fractions (10 ml each), which were reunited into 12 groups after analysis of TLC. The group with fractions 111-133, eluted with a 47-54% (v/v) gradient of ethyl acetate in mixture with hexane, afforded compound 1 (20.0 mg). Luclaricin (1): amber oil; IRmax 3100-3500, 1680 cm-1; 1H and 13C NMR data (500 MHz and 125 MHz, respectively, in CDCl3), see Table 1; HRESIMS m/z 447.1065 [M + Na]+ (calcd. for C23H20NaO8Na, m/z 447.1055). U251 (glioma, CNS), MCF-7 (breast), NCI-ADR/RES (multidrug resistant ovariancells); NCI-H460 (lung, non-small cell type); OVCAR-3 (ovary); HT29 (colorectal); K562 (leukemia); HaCat (immortalized human keratinocytes, the only non-tumor cell line we used) was cultivated in RPMI-1640 supplement with 25 mM HEPES, 2 mM L-glutamine, 100 U mL-1 penicillin, 100 µg mL-1 streptomycin and 10% of fetal bovine serum (FBS). Cells were incubated with different justicidin B concentrations at 0.5% of DMSO: 0.25, 2.5, 25.0, and 250.0 µg mL-1 in quadruplicate. Doxorubicin was used as positive control. After 48 h of incubation, cells were fixed with trichloroacetic acid (TCA) solution (50%, v/v). The plates were kept at 4 °C for 1 hour. After this period, they were subjected to four consecutive water washes and they were completely dried. Fixed cells were stained with 50 µL of sulforhodamine B (0.4% weight/volume), dissolved in 1% of acetic acid, for 30 minutes at room temperature.15 Then, plates were washed for three consecutive times with a solution of acetic acid 1% and dried at room temperature. 150 µL of Trizma Base (10 µmol L-1) was added and absorbance spectrophotometric reading was performed in a microplate reader at 540 nm.15 Values were calculated from a semi log plot of the drug concentration (µg mL-1) against the growth inhibition percentage. Values below 50% cell growth and above zero represent growth inhibition (cytostatic activity). Negative values represent cell death (cytocidal activity). The results for doxorubicin and justicidin B were also expressed as GI50 (concentration that inhibits growth of 50% of the cells). 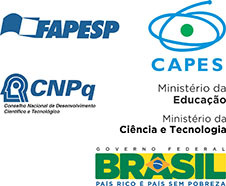 The authors thank the National Council for Scientific and Technological Development (CNPq), Coordination for the Improvement of Higher Education Personnel (CAPES), and FAPESQ-PB Research Support Foundation of the State of Paraiba for the financial support and the LMCA-Central Analytical from Federal University of Paraiba for obtaining the spectra. IR, NMR and MS spectra for compounds 1 and 2 can be found at http://quimicanova.sbq.org.br in pdf format, with free access. 1. Erika, R. M.; Letícia, R. L.; Inês, C.; Rodriguésia 2017, 68, 1813. 2. Silva, M. J.; Sales, M. F.; Acta Bot. Bras. 2007, 21, 79. 3. Calixto, J. B.; Santos, A. R.; Cechinel Filho, V.; Yunes, R. A.; Med. Res. Rev. 1998, 18, 225. 4. Nahar, L.; Sarker, S. D.; Delazar, A. In Phyllanthus Species: Scientific Evaluation and Medicinal Applications; Kuttan, R., Harikumar, K. B., eds. ; CRC Press: Boca Raton, 2012, p. 120. 5. Pettit, G. R.; Cragg, G. M.; Suffness, M. I. Gust, D.; Boettner, F. E.; Williams, M.; Sanez-Renauld, J. A.; Brown, P.; Schmidt, J. M.; Ellis, P. D.; J. Org. Chem. 1984, 49, 4258. 6. Pettit, G. R.; Schaufelberger, D. E.; J. Nat. Prod. 1988, 51, 1104. 7. Pettit, G. R.; Schaufelberger, D. E.; Nieman, R. A.; Dufresne, C.; Saenz-Renaud, J. A.; J. Nat. Prod. 1990, 53, 1406. 8. Silva, R.; Ruas, M. M.; Donate, P. M.; Magn. Res. Chem. 2007, 45, 902. 9. Shiva, H.; Hassan, S. Molecules 2016, 21, 820. 10. Mirtha, N.; Ileana, M.; Elizabeth, A.; Silvia, Q.; Gabriela, A.; Felipe, V.; Diego, A.; Pei, C.; Plant, 2017, 6, 62. 11. Gertsch, J.; Tobler, R. T.; Brun, R.; Sticher, O.; Heilmann, J.; Planta Med. 2003, 69, 420. 12. Ilieva, Y.; Zhelezova, I.; Atanasova, T.; Zaharieva, M. M.; Sasheva, P.; Ionkova, I.; Konstantinov, S.; Biotechnol. Lett. 2014, 36, 2177. 13. Momekov, G.; Konstantinov, S.; Dineva, I.; Ionkova, I.; Neoplasma 2011, 58, 320. 14. Rao, Y. K.; Fang, S. H.; Tzeng, Y. M.; J. Ethnopharmacol. 2006, 103, 181. 15. Skehan, P.; Storeng, R.; Scudiero, D.; Monks, A.; McMahon, J.; Vistica, D.; Warren, J. T.; Bokesch, H.; Kenney, S.; Boyd, M. R.; J. Natl. Cancer Inst. 1990, 82, 1107.